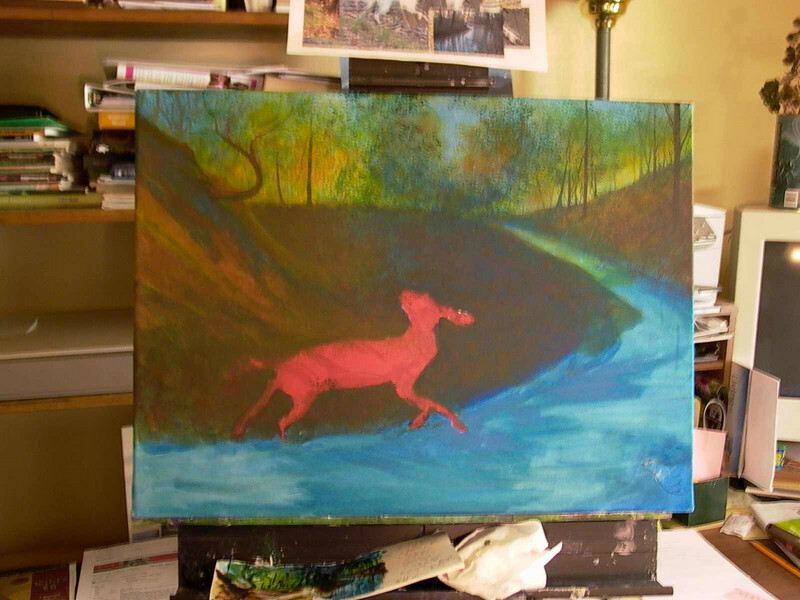 I start with painting a glow at the far hillsides, and add my woodland and its creatures as I come to the foreground. I'll be making a change to the composition by adding our black lab Brandie as a final tribute to her. She did have a knack for bounding onto the scene just in time to scatter the wildlife.